Bach's Prelude and Fugue No. 16 in G Minor, BWV885 from the Second Book of Das Wohltemperirte Klavier (The Well-Tempered Clavier) has been arranged for cello quartet by Carsten Jaspert, German-born cellist of the NDR Radiophilharmonie in Hannover and former Principal Cellist of the Folkwang Kammerorchester in Essen. Outside of his orchestral career, Jaspert has been a member of the Helian Quartet since 2005 and regularly writes arrangements for cello ensembles. 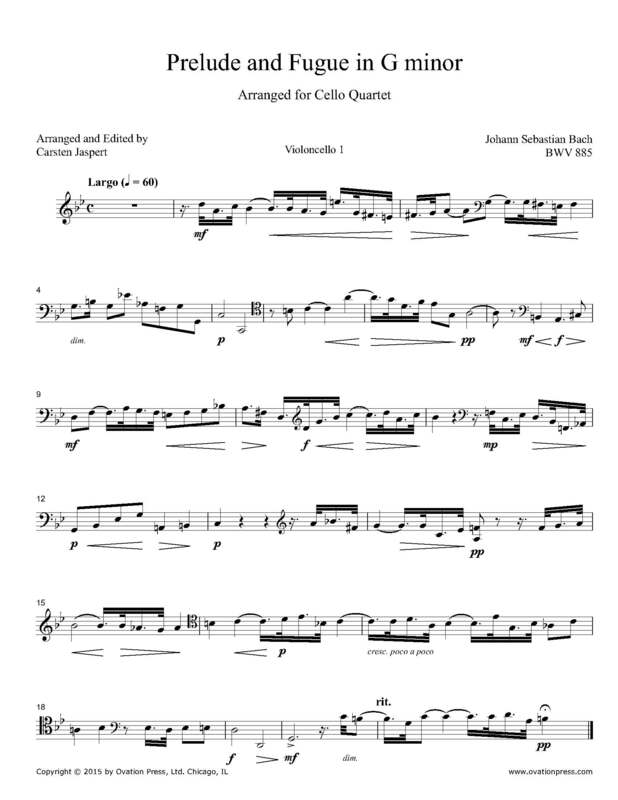 Download and print the score today to gain access to this expertly edited arrangement of Bach's Prelude and Fugue in G Minor from the The Well-Tempered Clavier Book 2 for cello quartet by Carsten Jaspert!